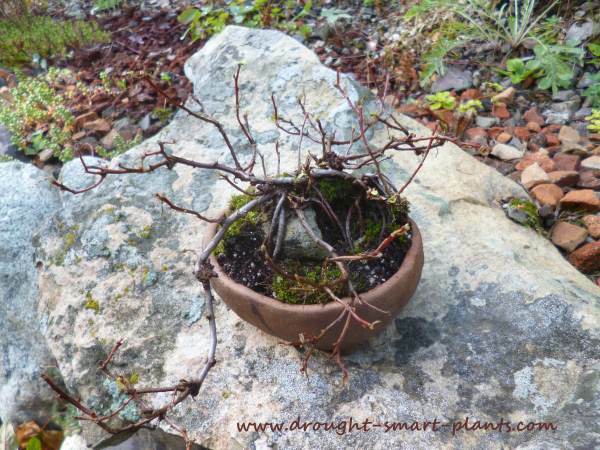 Bonsai are most often made from garden type trees and shrubs, rarely from something like a stonecrop, but this little tree is one of the best examples of a drought tolerant plant made into a fabulous tiny tree. I've made a few bonsai trees in the past, but where I am now (both mentally and physically) I really don't want to spend hours watering these little trees three times (or more) a day in the summer, and fretting and worrying about them in the winter. 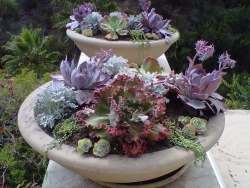 I've lost lots of my creations over the years, many to frost damage, or lack of water. Imagine my surprise and glee when I discovered this little gem, an obscure little stonecrop that is hard to find but so easy to propagate. It's Sedum populifolium, the poplar leaved stonecrop. I actually have two different forms; the regular species has white flowers in late summer into fall, and there is also a pink flowered form called 'Janet Poor'. 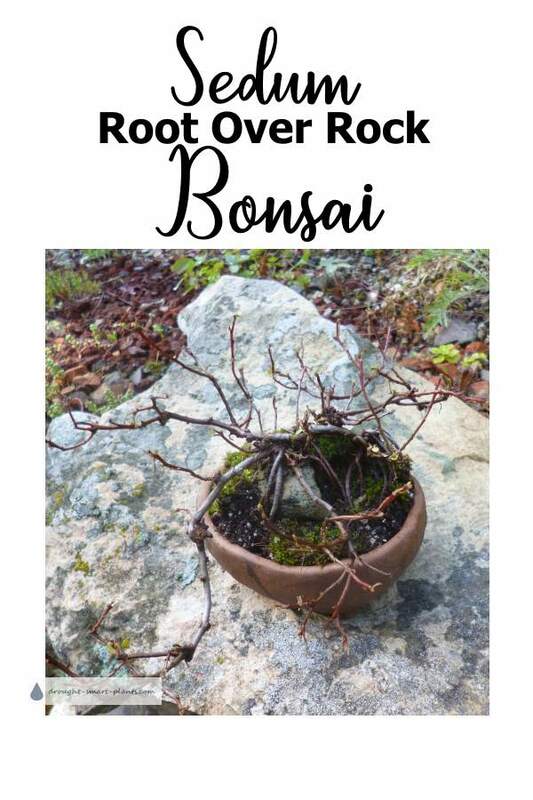 Both have similar growth habits, and in time make a very realistic little tree, with none of the fussiness and demanding nature of most trees used for bonsai. 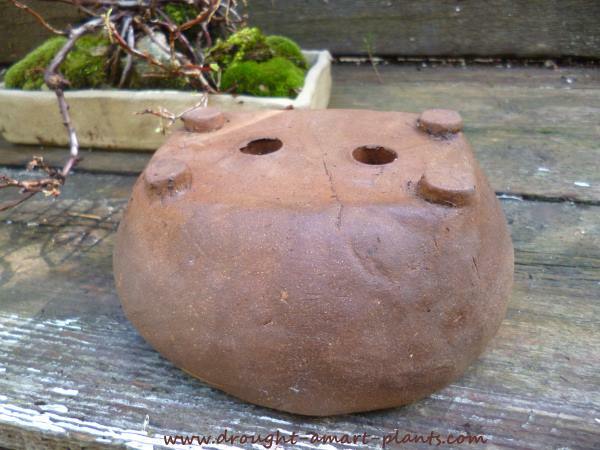 Many years ago, around the mid 1980's I had the opportunity to make bonsai pots at my parents pottery studio. These are ageless in style, and offer the feeling known as 'wabi-sabi' which is Japanese for simple beauty. 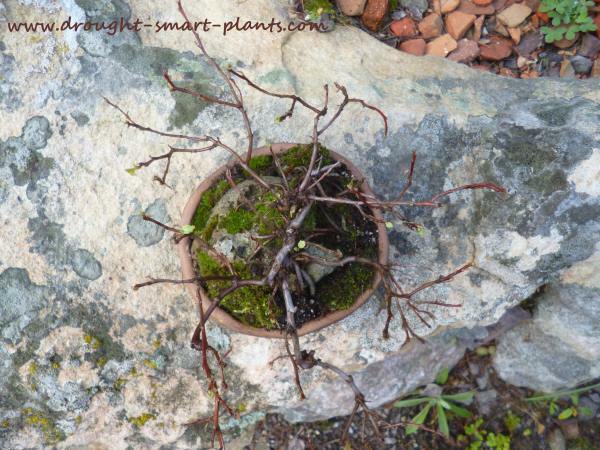 For the first few years, this tree was planted in the soil with the roots clasping a rock, which was gradually revealed each time it was repotted. 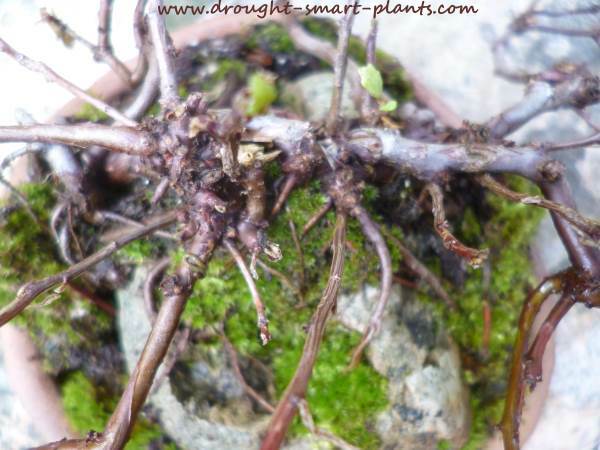 Although one of the most important things with the usual deciduous trees is root pruning and repotting, this plant generally doesn't receive much in the way of care. The branches are a bit brittle, but they root quickly if given a bit of soil, so all is not lost. 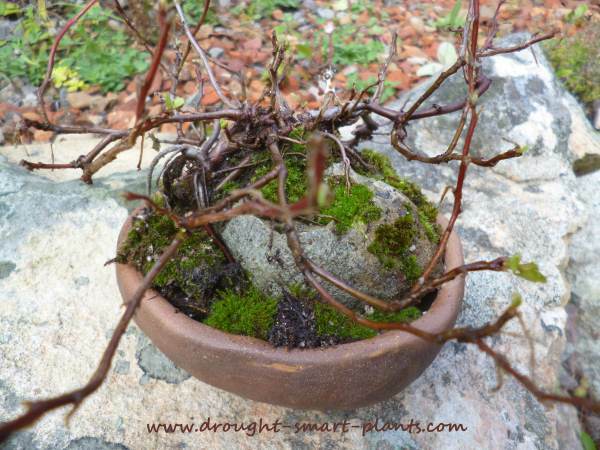 Luckily, the plant is perfect for very informal styles, like this root over rock bonsai. Over time, the branches achieve a desirable aged and gnarled appearance. And, of course, there has to be moss - what respectable bonsai doesn't have moss associated with it?